It took two months but the Kontinental Hockey League’s newest team, China’s Kunlun Red Star, has finally seen the first goal scored by a Chinese player. 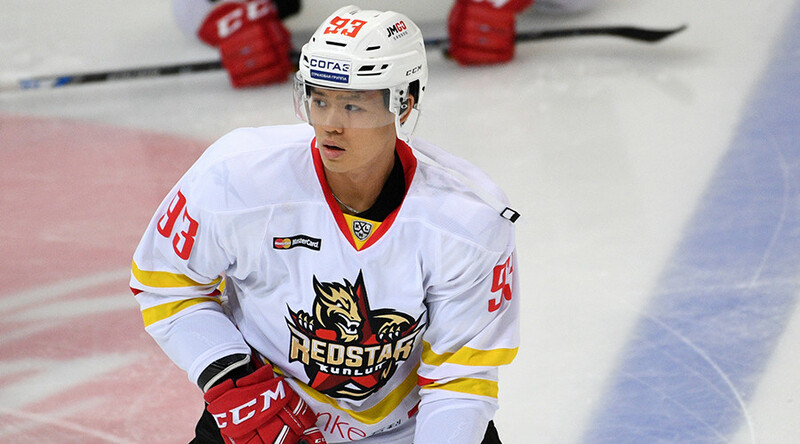 It was scored by 23-year-old Zach Yuen, who played in multiple North American leagues, and was drafted by the NHL’s Winnipeg Jets, but now represents the KHL’s Kunlun Red Star. The KHL’s first Chinese team is made up of a mix of Russian, European and North American skaters, and only includes five Chinese players. The team was set up as a vehicle to promote and popularize ice-hockey in a country mostly famous for its gymnastic and track and field athletes. Red Star is currently in eighth position in the Eastern Conference in the KHL, and hopes to make the playoffs in its first season in the league.